Last month I became aware of the new BIM Forum Level of Development specification. I was happy to see that it now contains also more details about elevators. Thanks to Kenneth Flannigan who helped me a lot to better interpreting the standard: “The Level of Development Specification does not correlate to a models intended use, but does provide minimums for geometry (and data if you look at Part II) when key decisions are made. Viewing the LOD levels as “decision” levels helps here. If more model geometry detail is added it doesn’t necessarily mean those decisions are made. For instance: If I add signalization to an elevator that lights up to be used in a rendering or animation. That only progresses the LOD if an actual decision was made and the signalization matches what will be purchased/installed. The Model Element may be graphically represented in the Model with a symbol or other generic representation, but does not satisfy the requirements for LOD 200. Information related to the Model Element (i.e. cost per square foot, tonnage of HVAC, etc.) can be derived from other Model Elements. BIMForum Interpretation: LOD 100 elements are not geometric representations. Examples are information attached to other model elements or symbols showing the existence of a component but not its shape, size, or precise location. Any information derived from LOD 100 elements must be considered approximate. This is the very early stage in the planning process. The architect or planner only needs to know the overall shaft dimensions, including headroom and pit requirements. The Model Element is graphically represented within the Model as a generic system, object, or assembly with approximate quantities, size, shape, location, and orientation. Non-graphic information may also be attached to the Model Element. BIMForum interpretation: At this LOD elements are generic placeholders. They may be recognizable as the components they represent, or they may be volumes for space reservation. Any information derived from LOD 200 elements must be considered approximate. At this point the overall car and door dimensions are required. This also provides information on how many stops and travel of the elevator. This is the last LOD step where the supplier is NOT yet selected. 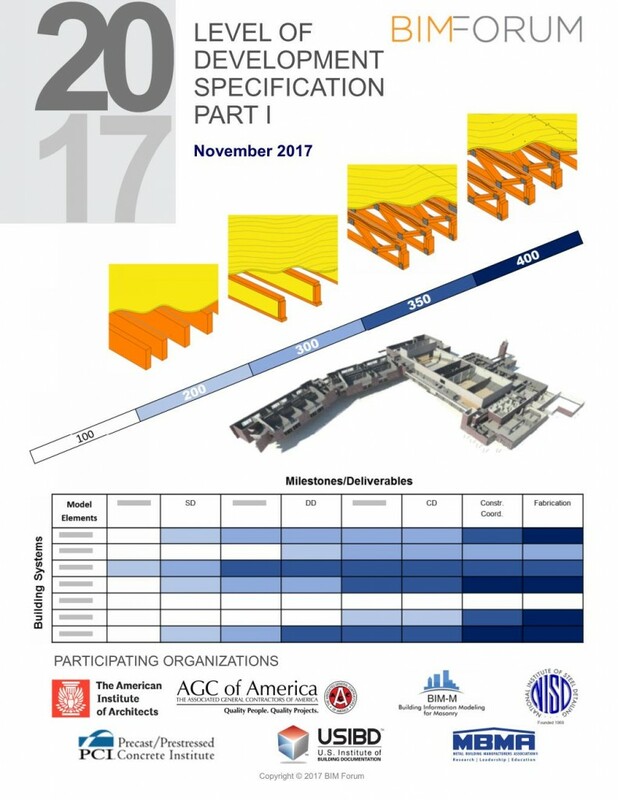 Btw, having your BIM model in the architects building at this point is a good opportunity to making sure, “your dimension” requirements are satisfied. The Model Element is graphically represented within the Model as a specific system, object or assembly in terms of quantity, size, shape, location, and orientation. Non-graphic information may also be attached to the Model Element. BIMForum interpretation: The quantity, size, shape, location, and orientation of the element as designed can be measured directly from the model without referring to non-modeled information such as notes or dimension call-outs. The project origin is defined and the element is located accurately with respect to the project origin. Specific system elements modeled by type, including all path of travel zones. Pits and/or control rooms and associated equipment to be modeled if applicable. Major structural support elements modeled. Connections to mechanical or electrical services. By definition it must be dimensionally accurate and that means a specific manufacturer and product would need to be selected and placed to meet LOD 300. The Model Element is graphically represented within the Model as a specific system, object, or assembly in terms of quantity, size, shape, location, orientation, and interfaces with other building systems. Non-graphic information may also be attached to the Model Element. BIMForum interpretation: Parts necessary for coordination of the element with nearby or attached elements are modeled. These parts will include such items as supports and connections. The quantity, size, shape, location, and orientation of the element as designed can be measured directly from the model without referring to non-modeled information such as notes or dimension call-outs. Sizing adjusted to the actual manufacturer specifications. At this point the elevator supplier is selected. That means that supplier specific information is added to the building model. The Model Element is graphically represented within the Model as a specific system, object or assembly in terms of size, shape, location, quantity, and orientation with detailing, fabrication, assembly, and installation information. Non-graphic information may also be attached to the Model Element. BIMForum interpretation: An LOD 400 element is modeled at sufficient detail and accuracy for fabrication of the represented component. The quantity, size, shape, location, and orientation of the element as designed can be measured directly from the model without referring to non-modeled information such as notes or dimension call-outs. All connections, supports, framing, and other supplementary components. may also be attached to the Model Elements. element geometry or non-graphic information, this Specification does not define or illustrate it. 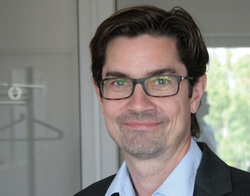 Andreas Fleischmann is the owner and CEO of DigiPara. Since more than 20 years Andreas is a known expert for elevator BIM, drawings and elevator configurations.